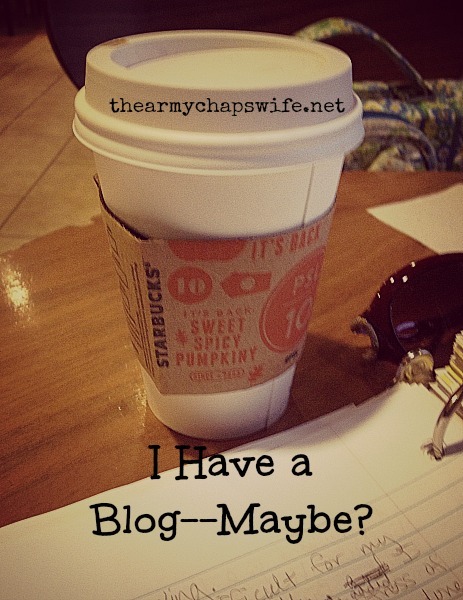 Wait, I have a blog? Oh yeah, I have a blog! I’d almost forgotten. It’s been so long since I’ve actually written anything though, it feels as if I’ve not been an active blogger since that cup up there made its appearance last year! 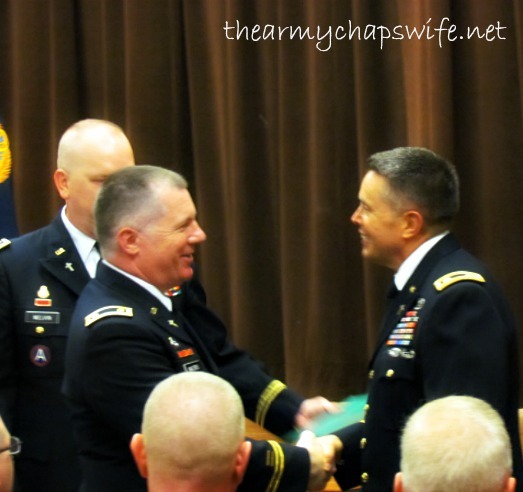 Husband (on the left) graduated from Texas A&M with a Master’s Degree in Counseling Psychology and was officially commissioned as an Army Family Life Chaplain. Fifteen long months of intense, hard work–we are so proud of him! Oldest daughter now has her driver’s license and has been quite happily driving herself to work and all her church and social events. Be still my mama-heart! I’ve added several new clients to my editing/proofreading business, For Love of Words (more on this later). Youngest daughter decided she was bored with summer and wanted to slowly step back into school subjects–math was her first choice; thank you Teaching Textbooks! I was diagnosed with serious anemia and have an unrelated medical test coming up next week. It’s been an eventful summer, to say the least. And obviously, blogging has taken a backseat. Can anyone relate? Even if you’re not a blogger, have you ever had to put something that was once a big part of your life into a different priority category in light of current events? Or discovered what was once a passionate interest has morphed into something different? Blogging is what led me into being a virtual assistant, and I love what I do for other bloggers and website owners now! In fact, I enjoy helping others with their writing more than I enjoy writing my own stuff. So this space might just continue to be quieter. I’m ok with that. Hooray for all the milestones! Y’all have had a busy summer. Sorry to hear about the anemia! Hope you are doing better. Congrats to your hubby! That is AWESOME! I barely blog anymore, too. Instagram is just so easy! I am doing better Theresa, thanks! I’ve been on iron tablets for a couple of weeks now, and it really has made a difference.